Christian Woman magazine is looking for ways to help its readers make prayer a priority. Featured in every issue is a prayer calendar with scriptures to guide our thoughts and help make a meaningful prayer life a reality. 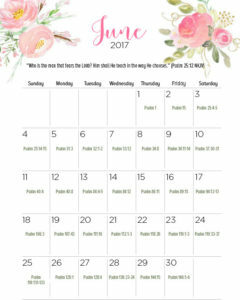 The calendar for June can be found here. 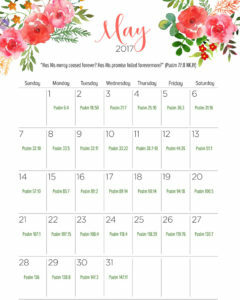 The calendar for May can be found here. 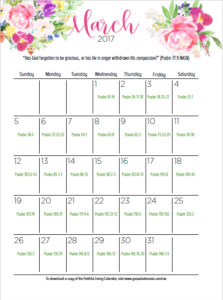 The calendar for the April can be found here. The calendar for March can be found here. 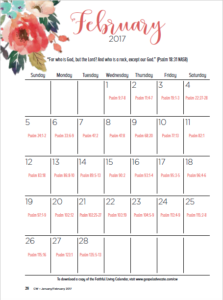 The calendar for February can be found here. 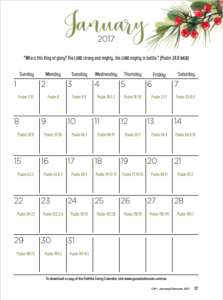 The calendar for January can be found here. 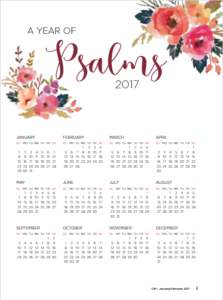 Our 2017 Calendar, “A Year of Psalms,” is available now! 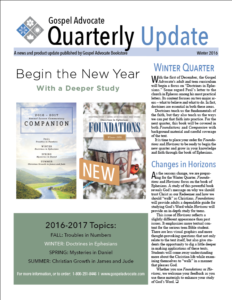 Wondering What’s New at Gospel Advocate? We believe our constant goal should be to serve God “out loud.” Is it scary? Every day. But is heaven going to be worth it? Absolutely! 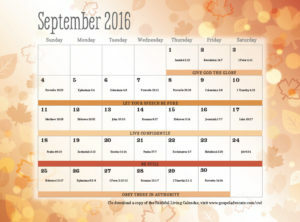 This year’s calendar is about preparing for eternity and living a life that glorifies Christ. Each week will focus on one particular attribute of Christianity, with scriptures that will encourage us to share our faith with others. And when we find ourselves in a difficult situation, we will rest in the knowledge that God is in control. 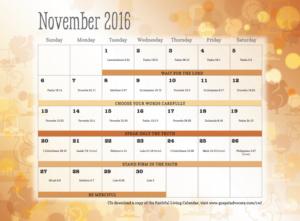 The calendar for November/December can be found here. 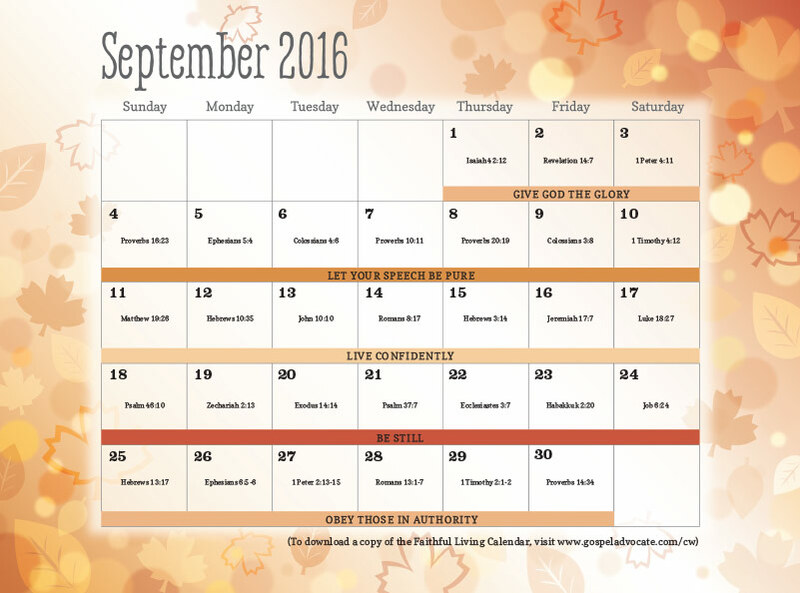 The calendar for September/October can be found here. The calendar for July/August can be found here. The calendar for May/June can be found here. The calendar for the March/April issue can be found here. The calendar for the January/February issue can be found here. 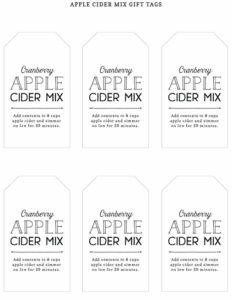 Featured on the CW interests page in the September/October issue of CW: An easy gift for fall could be to fill a small jar with this cranberry apple cider mix:1⁄4 cup of raw sugar, 1 teaspoon of cinnamon, 1⁄2 teaspoon of nutmeg, 1⁄4 teaspoon of cloves, and dried cranberries. Tie the gift off with our downloadable tag that also has directions. You can download this tag here.